Kinetic tremors in conditions such as essential tremor affect patient movements that require high degrees of dexterity and precision. Common methods of treatment are medications (primidone, beta-blockers) and thalamic deep brain stimulation. Peripheral nerve stimulation has also been tried in patients with treatment-resistant tremor, but this technique has not been extensively used in patients because of the bulkiness of the stimulation systems used in these experiments, and the perceived lack of efficacy of this treatment modality. Therefore, we developed a wireless wearable stimulation system that uses 3-D accelerometric measurements of arm tremor characteristics for closed-loop optimization of stimulation parameters. The motion sensor data are wirelessly sent to a PC or smartphone that then analyzes tremor movements. The constant voltage mode stimulator is powered by a 3.7 V rechargeable Li-ion battery, and can generate pulses up to ± 25 V in amplitude. All custom designed electronics (18 x 28 mm2) are enclosed in a wrist-watch sized container. Two subjects (19 and 20 years old) with kinetic tremor participated in this study. Round surface electrodes were placed on two sites over the radial and ulnar nerves. We initially adjusted stimulation amplitudes so that they were noticeable, but not uncomfortable, using 200 µs wide biphasic stimuli. We changed the amplitudes, frequency, and duty cycle of the stimuli, as well as the duration of the inter-pulse train interval while observing the amplitude of the kinetic tremor when subjects moved a small object from one cup to another with a spoon. The frequency, amplitude, and phase shift of the tremor were analyzed before and during the stimulation were compared. We found that the tremor amplitude was reduced by up to 63% when 5 stimuli (100 Hz) were applied with 500 ms inter-stimulation intervals. The placement of the electrodes and skin impedance differed between subjects, so that the stimulation parameters may have to be individualized for each patient. In future studies, we will develop an automated method of optimization of electrode positions and stimulation parameters, based on tremor characteristics. Jeonghee Kim is a Ph.D. student in the School of Electrical and Computer Engineering at Georgia Institute of Technology in Neurolab advised by Dr. Stephen P. DeWeerth. She received B.S. degrees in electrical engineering from Kyungpook National University in Daegu, Korea, and the University of Texas at Dallas in Richardson in 2007 and 2008, respectively, and an M.S. degree in electrical engineering and computer science at the University of Michigan in Ann Arbor in 2009. 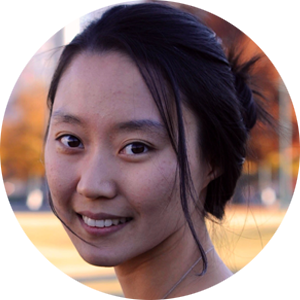 Her research interests are system design for biomedical and rehabilitation system in real-time closed-loop and embedded mobile applications, human computer interaction, and assistive technologies.